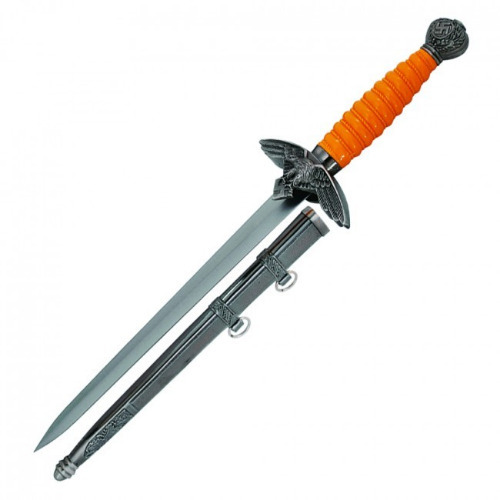 14" Overall with a 9" stainless steel blade, orange composition handle with cast metal fittings, and molded scabbard, good quality Replica. Please know that these are false edged. Please note: B.G. holds no sympathetic regard toward Nazis, fascists, or other neo-political parties, past or present. This product is intended for historical purposes only.